Channel the charm of a true Southern gentleman. 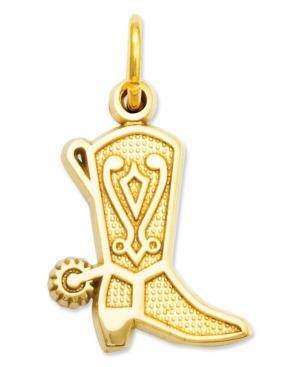 Crafted in 14k gold, this cowboy boot has got an intricate design and a spur, too! Chain not included. Approximate length: 8/10 inch. Approximate width: 1/2 inch.